Around the holidays, we’re always trying to come up with a way to make our tables feel special for our guests, yet different from the year before. 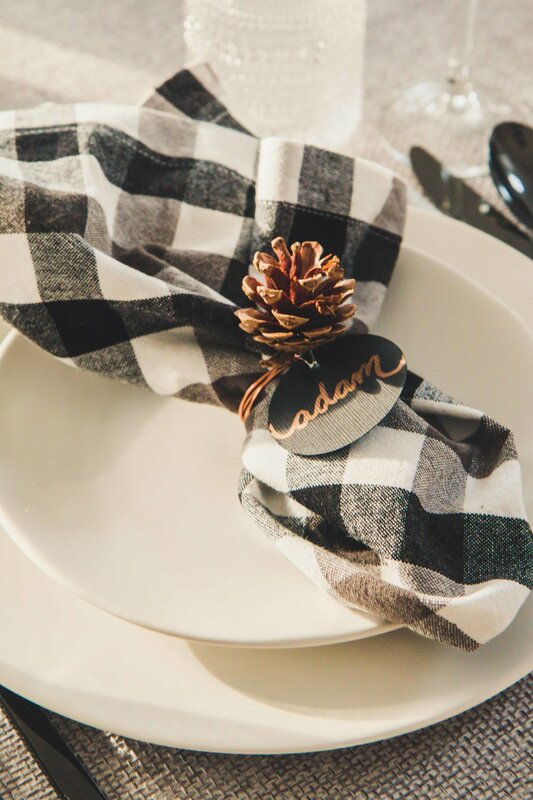 This year, we helped Seri bring a handmade element to her Thanksgiving table with DIY napkin ring holders that doubled as NAME CARDS! 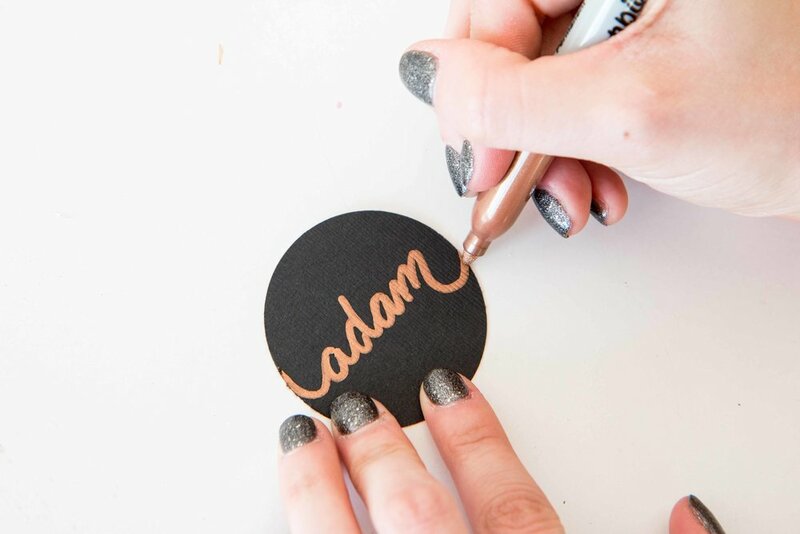 Since we often create name cards for our guests anyway, we thought this was the perfect opportunity to put a new spin on it. Not to mention, by combining these two things, we eliminate the problem of how to place the napkin AND the place card on the plate. We often have to choose which item will get the attention, but this time, both can be the hero of the setting. 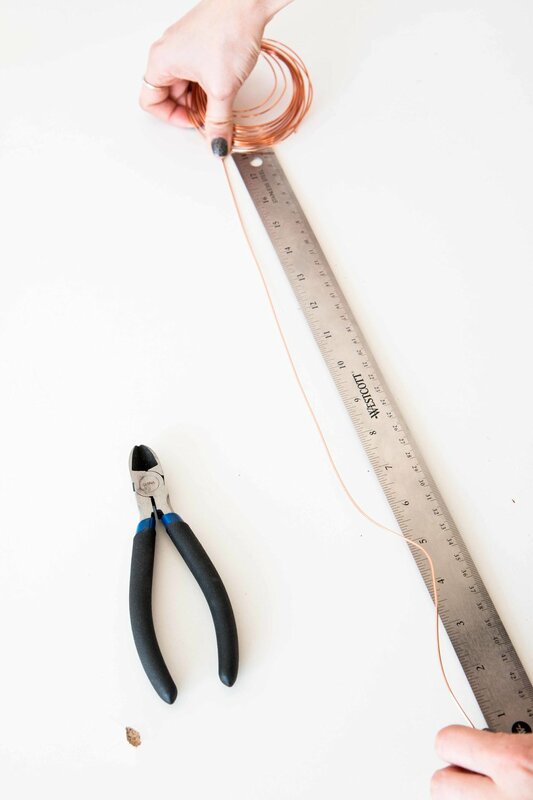 Step 2: Measure out your wire to about 18in and clip it using your wire cutters. 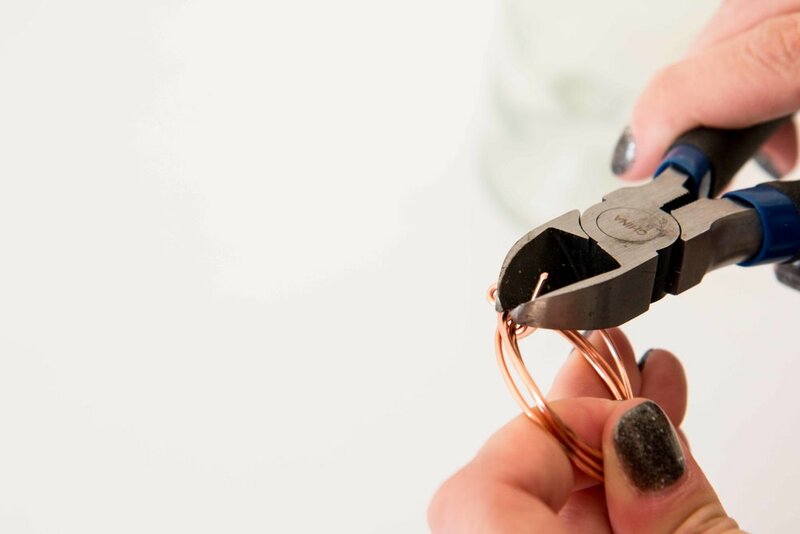 Step 3: Wrap your wire around the neck of the wine bottle, leaving about an inch on each end to twist and wrap to create a knot. 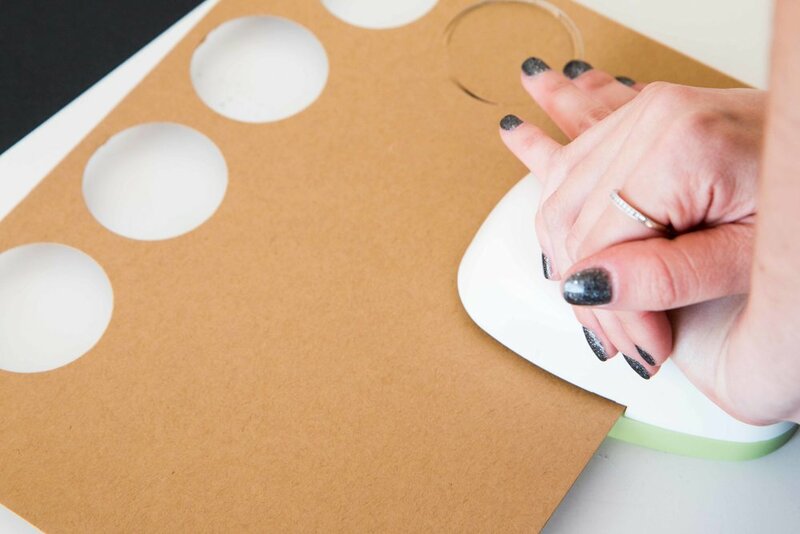 Once the ends are twisted together, wrap the excess around the inside of the ring and point them back upwards so they won’t snag the napkin when it goes through. Then clip the ends as close as possible so the sharp edge is not poking out. 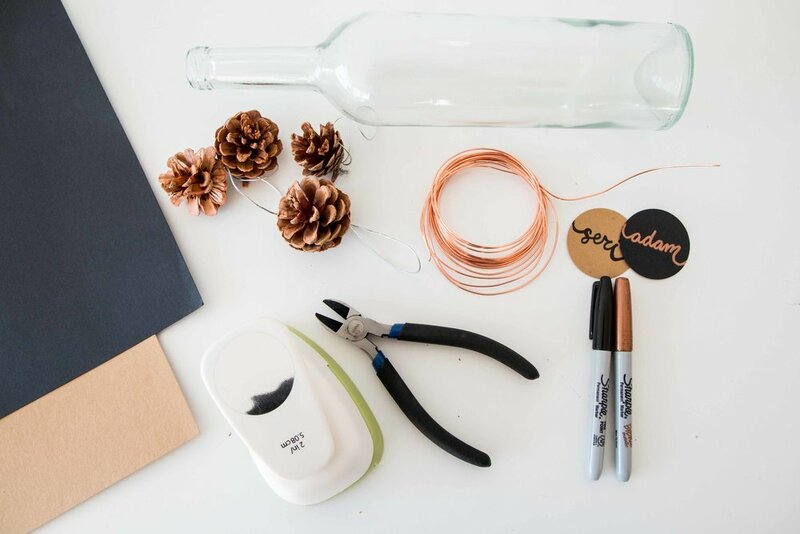 Step 4: Take your pinecone ornament and wrap the strings through the hole of the wire. Tie it tightly and knot it. Step 5: Make a hole in your name tag, and use the excess string from the pinecone to tie it onto the ring. 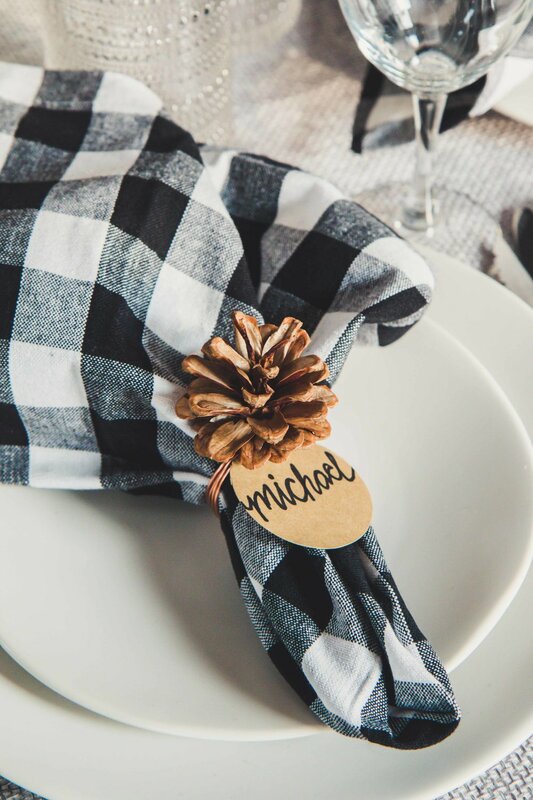 It should sit below the pinecone so when the name is facing outward on the table, the pinecone sits up and the ring can hold the napkin. And that’s it! A customized element made special for each guest. Happy crafting and Happy Thanksgiving!